in the local jail. The majority of them did not survive. increased to clear cargo which served to support the German front. with hanging bellies and men with testicular ruptures were eliminated ". assist in loading heavy machinery, help to store food and other goods. Bremerhaven " . We were almost 2,000 prisoners, 1,100 men and 900 women. Gertrude Schneider. [That gives a total of 8000 prisoners, sic]. eventually liberated, which is a mortality rate of 27 percent. 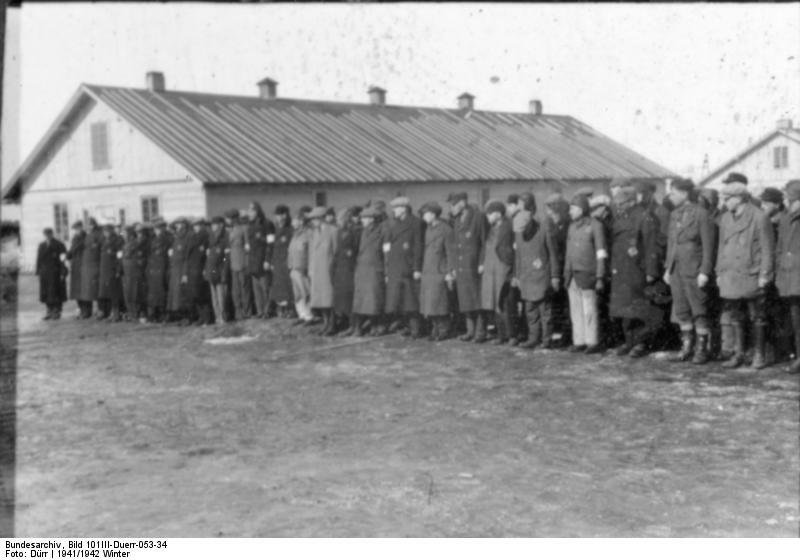 September Transport that seven weeks previously arrived at Stutthof. its leaders to far regents of the Soviet Union. signing of The Molotov–Ribbentrop Pact. eastern Finland was annexed by the Soviet Union after the Winter War. This was followed by Soviet annexations of Estonia, Latvia, Lithuania. 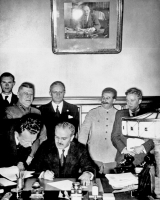 Vyacheslav Molotov signs the German–Soviet non-aggression pact. his plans of aggression, [of the Soviet Union, sic] had to pay a price. Soviet NKVD troops raided border posts in Lithuania, Estonia and Latvia. 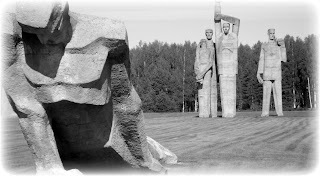 Deportation of Latvian people in the night between 13 June and 14 June 1941"
unfounded accusations and accusing Latvia of violations of the pact. Latvia on 17 June 1940.
heavily damaged in the fighting and fires burned for days. 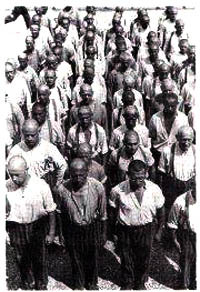 victims of the concentration camp of Kaiserwald. Kaiserwald was relatively shielded as a suburb of Riga. 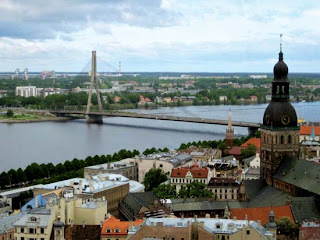 Since theliquidation of the ghetto, the Jewish columns that were previouslymarched daily through Riga to their places of work, disappeared from thecityscape. Nevertheless, it was the city's population which noticed thaton the outskirts of Riga a camp was being built, since the closure of the ghetto which was a long and ongoing process, they knew. Thethousands of ghetto residents were driven in several stages on foot to Kaiserwald. Surrounded by barbed wire the camp and its surroundings was heavily guarded, but it was visible from a distance. The Riga rail way station Skirotava, a shunting yard, some distance from the camp, where Transports of prisoners arrived, were taken by the SS along a secondary road (Landstraße) towards Riga. The prisoners had limited opportunity to communicate with the outside world or had any real contact. Whether the writing of letters to relatives in Kaiserwald was possible has not been established. Margarita Kestere undertook to provide food; each day, she used to bring it over from across the River Daugava in a children’s pram. In 1944, someone had reported on Anna Alma Pole to the German occupation institutions for helping the Jews to hide, and on 24 August 1944 the house was searched. During the search, six Jews were killed, and Anna Alma Pole was arrested and taken to the Central Prison, were she was tortured to death. The remaining inmates in the main camp were assigned after registering to a work detail inside or outside the camp. If this classification did not immediately take place, the men or women were allocated during roll calls to the remaining free workplaces or to other commandos, whose composition changed frequently as a result of new arrivals, deaths, disease-related illnesses and redistribution of prisoners according to their skills. 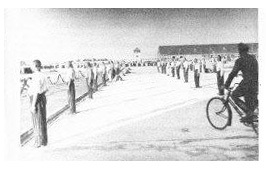 In contrast to the satellite camps, the prison workers employed outside the camp came back daily to the main camp. The obtainable strength by numbers in Labour Units was also significantly lower than that of a satellite camp. Permanent housing and guarding therefore probably was not goal-oriented enough. The assignment of prisoners was often according to their qualifications. Here prisoners were selected with technical skills and reported to a specific commando. The commandos were characterised mainly by their different working conditions. 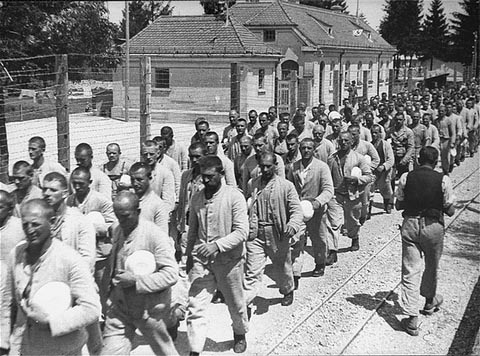 Most sought after of the skilled inmates were work assignments outside the camp, because the guards were often members of the Wehrmacht or Latvian foremen, who as a rule would not mistreat or abuse their workers. In contrast, the prisoners of internal detachments were constantly exposed to the terror and harassment by the camp SS and their trusties. The use of Labour in the camp took place in small workshops and offices of the Administration Department[ I ] in the the front of the camp. In the actual prison camp, only the medical staff at the prison infirmary  would women and men work. In addition, there was behind the prisoner camp, a few yards outside of the terrain, a small commando called the "Anode" . In the clothing store, located in the administrative area , men and women were employed, they sorted the contents of suitcases and bundles of newcomers and inventoried each item. Sometimes the prisoners were likely to find food in the clothing that they smuggled back into the prison camp. Next to the clothing store was a small dressmaking room in which the prisoners repaired and mended during day and night shifts, dresses and clothing removed from luggage of new arrivals, or those that had been been deceased. The repaired pieces were then further treated in the laundry, which was also working in two shifts. The management of the clothing store and the tailor shop was the responsibility of SS Sergeant Hirsch, who abused the prisoners: "Because of a damaged needle in my sewing machine I got blows from him, so I went around for weeks with a swollen face", reported former inmate David P. but still, Hirsch kept "his" Jews away from base selections (removal of buried corpses) and made pretty sure to tell them, "that thanks to him they were not taken to these dreadful assignments". It is most likely that Hirsch was only occasionally present in person at the clothing store and laundry. The actual guard who took on a supervisory position was an SS man whom the prisoners called "Hans" and never would beat or mistreate prisoners. His office was right next to the magazine of the clothing store. The prisoners themselves wore civilian clothes during working hours. Food that the prisoners found in the suitcases could, if Hirsch was absent, be used for their own personal use. "Hans" even tolerated children to be hidden and closeted away during upcoming "actions". "While I was playing softly, my mother came rushing in, and told me to climb between clothes and mattresses and sit quietly. Suddenly I heard in the dressing room, the heavy footsteps of German soldiers [...] and "Hans" said, "There's nobody but dirty clothes out of the infirmary, which must be burnt". '[ibid, page 157f sic]. In one barrack near the separation fence to the prison camp was a separate area, with the locksmith, lacksmith and shoemaker. Apart from doing their usual functions in these workshops, the prisoners were doing additional repair work or helped with repairs to the headquarters buildings and barracks. In the same part was the office of the "Labour Input Unit" where the inmates took over writing activities. In the prisoners' kitchen and the SS- kitchen there was also a team, which prepared the food and handing it out to the inmates. The cleaning of the headquarters was performed by a women commando. This posting was very unpopular because the women there were in constant contact with the camp staff. Specifically only for the SS personnel in the main camp near the headquarters, there was a barbershop. Every morning a guard brought the barber, the prisoner Maurice F., to the barbershop and took him back at evenings. Due to its more beneficial activity in the camp, he was spared from selections. In a small part of a barrack near the administration area, there was a dental clinic, the dental surgeon Tscherfas ran and directed this Department, it included two dentists and eight to nine dental technicians. In another hut, near the shower and disinfection barracks, worked the large woman commando "Anode". A small commando of the "Anode" was right behind the men's camp, a few meters outside the concentration camp, adjacent to a forest. These were under the supervision of the General Electric Company (AEG) of Riga. The women working there unloaded wagons and carts, which were equipped with batteries. Then they dissected the batteries into tiny pieces. The workers returned after completing one day's chores completely dirty from dust and burns caused by battery acid on the face and back of their hands to the detention centre. Every day after morning roll call, the work details left the camp under heavy guard. Working commandos further away were taken by trucks to the site, closer by they marched on foot to work. A very popular posting among prisoners was the clothing factory for Field Uniforms of the German Air Force in Riga. There, they were doing light work such as sorting and repair of the returned clothing. Some even completed clerical duties resulting from completed work, preparing invoices and shipping documents. Here the prisoners received generally slightly better food than in the main camp. The outside commando assigned to the "Tanklager" of the OT (Organisation Todt), about 70 to 120 prisoners worked under the direction of the political prisoner Hans M. from Düsseldorf. Different sized groups of male and female prisoner did heavy work in laying railway tracks and road construction in and around Riga. They carried heavy rails and embedded them in prepared trunk lines. The longer the track was laid, the more arduous was the daily way back to the camp. Wind and weather made no difference all the prisoners did various works: They carried stones and rocks, heavy sacks of lime (Kalksäcke) from point A to B, and mixed concrete. There were cases in which prisoners leaned against the concrete mixer [...] fell asleep standing up and then collapsed. After the evening return of all the prison commandos, additional further work from February 1944 was enforced for inmates within the camp: "carrying of stones or by pushing tip lorries on the run for the intended horticultural facilities" as well as the repair of barracks and roads were among the usual activities of an inmate until nightfall. Daily roll calls, but also "special mustering" (Sonderappelle) at anytime, day and night were used for the selection of incapacitated prisoners. The main objective of forced labour of the camp and its satellite camps at Kaiserwald were purely economics, which guaranteed supplying the troops at the front with food and clothing. Nevertheless, the inability to work and the resulting extermination of the concentration camp inmates were considered inevitable and an acceptable fact. Resulting labour shortages were balanced by training new incoming workers. The dwindling war economic importance of forced labour in the Baltic States from 1944 took away the ability, but not the right of Jewish prisoners to exist and caused a worsening of prison conditions and an increased of selections and subsequent elimination. 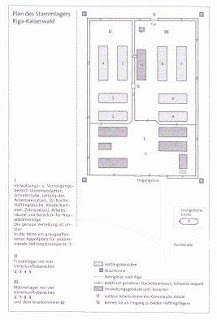 The first major selection took place even before the admission of Jewish prisoners into the concentration camp of Kaiserwald. On November 2nd 1943 about 2,000 elderly, sick and children were rounded up in the ghetto and deported to Auschwitz or shot in the woods near Riga. Only those ghetto residents able to work for the SS, were registered and sent to work assignments. 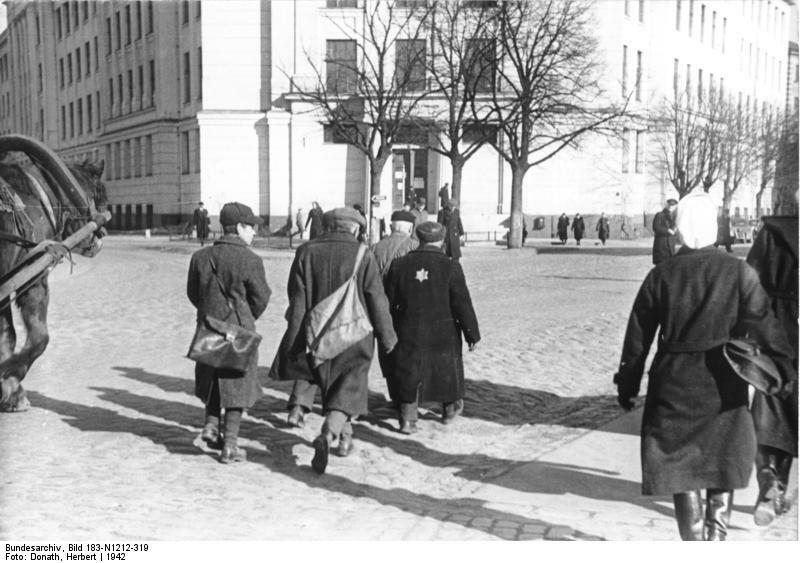 Some prisoners who were working in a satellite camp where they had already been living in the days of the ghetto's existence managed to protect their children from the great action (Große Aktion) and smuggled them into their sub-camps. Similar cases are known to have taken place at Kaiserwald, even though upon arrival of new Transports, mostly children, next to the old and weak were segregated immediately. In some isolated cases registration of children into the concentration camps under the administration of Kaiserwald did take place. In the satellite camps during 1943, such selections probably did not took place. 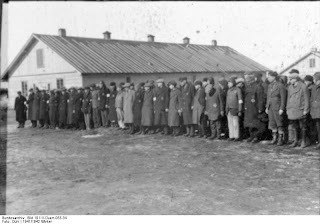 The sick and weak, if they stayed away from the labour input, were moved back to the main camp (Stammlager), treated in the local hospital and replaced by able-bodied prisoners from the camp. Despite regular selections out of the Revier (hospital) as well as out of the prison camp, the number of those segregated in 1943, compared to the following year, had been relatively steady, there was a good reason for this: First, prisoners at the time of their admission were found to be in a relatively stable mental and physical state. Secondly, the participation and use in labour work assignments offered some protection against the random actions of the camp SS. Only the hard winter and resulting food shortages not only due to a rising prison populations and the strenuous manual labour related to the constant physical and mental disintegration and fatigue of the prisoners. The number of incapacitated inmates increased and created an overcrowding of the hospital, which necessitated the establishment of another woman infirmary in the camp and a increase of a variety of selections to separate prisoners for eventual "disposal". the other hand, preparations were made on a long term basis for the evacuation of satellite camps and the main camps. 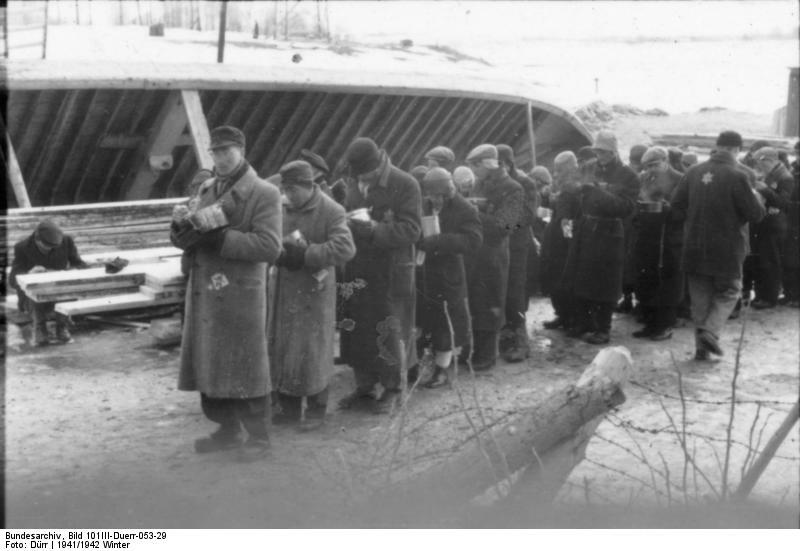 This entailed the elimination of an estimated 30.000 to 40.000 corpses of Jewish victims in mass graves and the necessity for the liquidation of all the other weak, the sick, the elderly and children, in other words, people who appeared a hindrance due to their condition for a smooth and rapid evacuation. 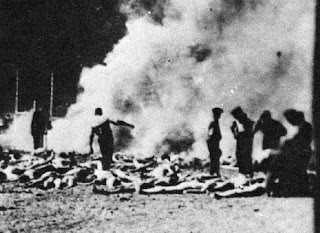 Sonderkommando was obliged to kill the Jewish prisoners that had now become confidants and witnesses of the activity performed., and that people had been murdered, buried now exhumed and cremated on "funeral pyres" or in pits. for shoving the bodies into the pit. Voluntarily, nobody would come forward for the new commando. Thus, in the subsequent period at irregular, in ever-shorter intervals selections were performed in which 40 to 50 prisoners were led to the "support point"(Stützpunkt) almost daily. The compiling of a commando was carried out in a variety of ways. Either the men were pulled out immediately from the ranks during roll calls, or names from a prepared list was read out of noted inmates who according to the Camp Administration had been guilty of alleged offences or the camp staff had noticed a negative attitude of them. Prisoners were always aware that a de-earthing (exhumation) project had been scheduled, as soon as trucks arrived in the camp loaded with drums of gasoline, buckets, shovels and steel plates. 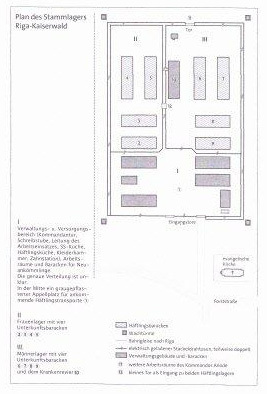 Moreover, it was not allowed for the selected "support point"
yellow star and forbidden to use the sidewalk"
in the last stages of starvation, were called in the camps Muselmänner. Muselmänner at KZ Gusen 1945"
Typical Wash up area for prisoners, this one in Sachsenhausen"
another spoonful of the 'warm murky Wässerchens' (watery substance). At exactly 1 pm the bell rang again. The prisoners marched back to work. completely cold food from the prison kitchen. again on their way back to work. dominated by a minority, reinforced the powerlessness of the detainees. up an infirmary the medical care of prisoners was extremely inadequate. non-able-bodied prisoner was ruthlessly killed. their frostbites, they were taken for "the treatment" to the main camp. an evacuation march by the Red Army at Burggraben near Danzig. 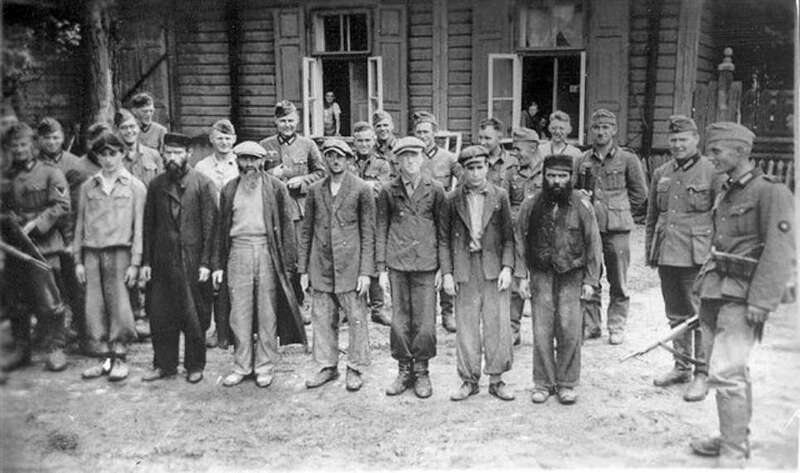 selected those unable to work, for execution in the forests of Riga. the prisoners died in each case within a few hours. [Statement Max A.
equipment helped that sick prisoners died daily in the infirmary. of diseases such as syphilis or tuberculosis [which was an excuse,sic]. Determining the true cause of death was not in the interest of the SS. about 40 to 50 deaths. Every eight days the dead were taken away and buried. Hans Maršálek, "Die Geschichte des Konzentrationslagers Mauthausen", p.
opinion that they were a burden on the state. people who had the misfortune to be inmates or who had been neglected? it never occur to you that killing a human being is a terrible crime? persons including those unfit to live. belief because I had to." 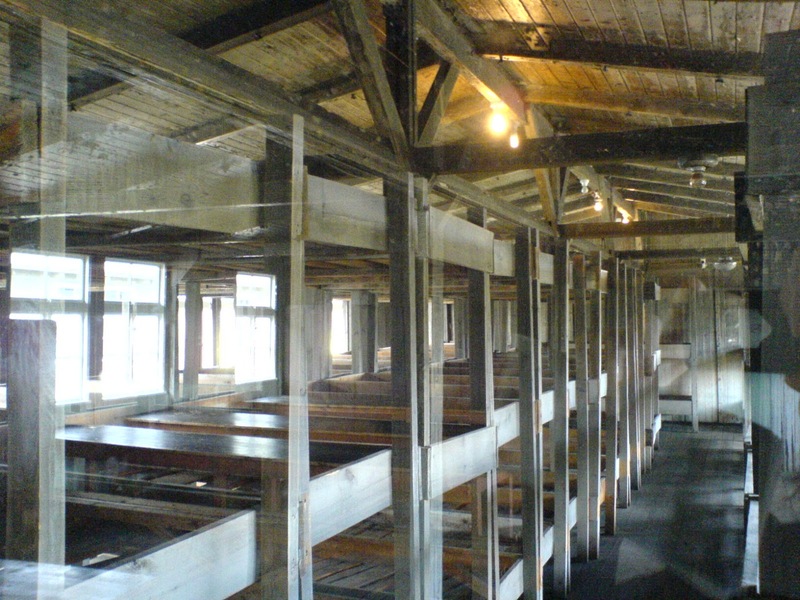 Since Kaiserwald concentration camp was designed as a transit and collection camp, prisoners stayed there for a short period of its existence. A large portion of the detainees remained only a few days to weeks in the main camp, and then to be sent to another sub-camp. So it was not appropriate to establish a system of detainees-functionaries, which was standard procedure in the rest of the Reich organisational and structural wise. 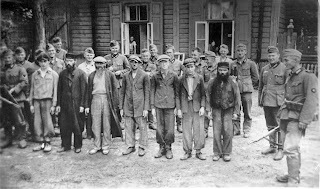 The trusties in Riga were recruited from the 200 survivors of the original 500 political and criminal prisoners which came from the concentration camp of Sachsenhausen for the construction of the camp. They were provided with the usual privileges of a prisoner functionary: Mostly they got a whip, but only for a separate and specific area of overcrowded barracks. In some cases, they were housed separately from other inmates and given better food. While the non-privileged prisoners marched out in the morning to work, they were exempt from hard labour and drove inmates to their jobs. They presented for many detainees, the real danger in the camp system. Besides monitoring and in parts overseeing the activities of other inmates, they were also engaged in the Administration and Labour-Assignments. Despite their powers, they were bound by the instructions of the SS and were under constant supervision themselves. Their particular relevance to the daily smooth running operation freed them from ill-treatment and harassment by the SS, but that did not stop them to beat and strike other inmates. Using some prisoner reports, it is clear that the higher posts of the prisoner hierarchy were occupied exclusively by criminal inmates. There were in the men and women's camps occasionally block leaders of Jewish origin, of which former prisoners have positive memories. Block leaders were in the order of the functionary prisoners at the lowest level. The camp leader, the highest ranking of this order, and the Kapos wore blue suits, blue caps and boots (Schaftstiefel). All other 'Aryans' were given striped prison suits and were therefore referred to as zebras. The armband of an Oberkapo"
The first Camp Elder was Reinhold Rosemeyer from Hannover. According to former prisoners, he was convicted of double murder, sent to life in prison and had already been interned for several years in concentration camps. At first, he was mistreating prisoners, but later he changed his attitude and largely supported them. 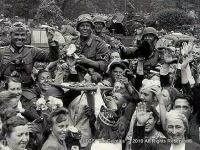 In the early summer of 1944 he was transferred to the satellite camp Strasdenhof. In his place came Hans Bruhn, who at that time was one of the first that arrived as part of the Building Commando from Sachsenhausen in March 1943. He was a different type of 'fish', than Rosemeyer, apparently he viscously drove inmates during roll calls and at work, and took part in the Selection of those that would be transported for extermination. Former inmates describe him as a brutal and cruel man who abused prisoners at random. After the war, Bruhn was questioned as a witness in the trial of SS medical orderly Wisner and there was recognised by the former prisoner D., who accused him of his crimes in Kaiserwald and other sub-camps. In the course of these allegations, the court proceeded with new investigations, and more witnesses came forward that accused Bruhn of severe abuse. Witnesses remembered a prisoner abuse resulting in a death and how Bruhn at a selection of children had tossed them into trucks for deportation. The case against Bruhn was dropped, mainly due to the statutory time limitation since the offence took place. He also escaped conviction for manslaughter. Willy Schlüter, a German criminal prisoners worked in the card index of labour input and managed the register of able-bodied prisoners. His immediate SS-superior was Hans Brüner. With the so-called "Stützpunktaussonderungen" [a military disguised acronym, literally: support-point-separation, sic] he set up transports together on orders of commander Brüner in view of the closure of the camp, and arrived himself with other prisoners in the satellite camps of Neuengamme and Hamburg Fuhlsbüttel. Similarly, sadistic and brutal, former inmates describe the Polish Political Prisoner "Bolek" and the German Hannes Filsinger, also block leaders and foremen in the men's camp. Randomly, "Bolek" pushed prisoners while working, mainly elderly and the frail, into a pit (Grube) and beat those with a rubber truncheon who did not came out quickly enough. He was assigned to the protection block in which the exhausted and sick workers were staying from the sub-camp of Dondangen when that place was overcrowded. Because of a theft out of the storage building from prisoners belongings, he was relieved of his position as a Block Leader at the end of 1943. In addition to the male prison functionaries from July 1943 about 50 as "asocial" marked women from Ravensbrück women's camp arrived at Kaiserwald for some reason, but after only three months, they were returned to Ravensbrück concentration camp. The Israeli Nazi and Nazi Collaborators (Punishment) Law of 1950, most famously used to prosecute Adolf Eichmann in 1961 and Ivan Demjanjuk in 1986, was originally introduced with the principal purpose of prosecuting Jewish collaborators with the Nazis. Between 1951 and 1964, approximately 40 trials were held, mostly of people alleged to have been Kapos. Fifteen are known to have resulted in convictions, but only sketchy details are known since the records were sealed in 1995 for a period of 70 years from the trial date. One person was convicted of crimes against humanity, which carried a mandatory death penalty, but the sentence was commuted to imprisonment. A small number of kapos were prosecuted in East and West Germany. In a well-publicised 1968 case, two Auschwitz kapos were put on trial in Frankfurt. They were indicted for 189 murders and multiple assaults, found guilty of several murders, and sentenced to life imprisonment. Historian Karin Orth writes: "There was hardly a measure of the SS so perfidious as its attempt to delegate the implementation of terror and violence to the victims. Admission and registration of new prisoners by the SS and prison functionaries always followed the same pattern. Within one to three days, the prisoners went through the Registry, the "Disinfection" and "Showers". At the end of this procedure, and the recording completed, the women or the men were either kept in the camp or further transported to other destinations. 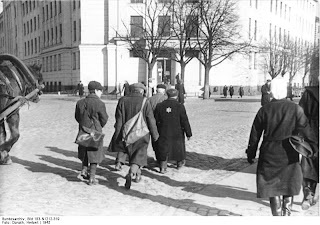 The SS thugs drove the inhabitants of the Riga ghetto in stages from July to November 1943 to walk or took them by truck from the Moscow suburb to the main camp in the north of Riga. Their luggage was loaded onto trucks and brought to Kaiserwald at the collection centre and their belongings kept in the camps clothing store. [This is a contentious issue, private possessions of prisoners were meant to be kept secure until their release, yet individuals did in fact "enrich" themselves, knowing that inmates in most cases were doomed, SS-Audits were conducted, prosecutions did take place and executions carried out, one prominent example is the death sentence of Kommandant Koch of Buchenwald by firing squad, which was carried out by his own SS-men,sic] Guarded by the SS, they led them to be registered, left some behind, and those women, men and children fit for work, would take them back to their old jobs, by now designated as sub-camps. Under the German Occupation Authority, the terror and horror began on the night of 3 July 1941 when Jewish people were dragged from their homes where they were either arrested robbed beaten or just murdered. Those who were arrested were taken to the "Prefecture" Riga City Militia Department Headquarters located at Aspazijas bulvāris 7, the Riga Central Prison, also known as the “Zentralka” and the former abandoned Riga Police Precinct house located at Valdemāra “Krišjāna Valdemāra” iela 19 that was taken over by Viktors Arājs and his Security Group “Arājs Kommando” Unit in July 1941. “These places can be regarded as one of the main places of integration torture and murder during the summer of 1941”. The prisoners from the Vilnius (Wilna) Ghetto and from Auschwitz were transported by rail to Kaiserwald. The conditions of the transport from Vilnius to Riga described by former prisoner Masha Rolnikaite: "It's hot and sticky, and I feel so miserable, if the wheels would not rattle so much, maybe someone would hear our cries and the guard would bring us a bit of water, we are suffocating ". Not far from the camp, it was getting dark, people who clung to their luggage, were beaten out of the trains and running along a lighted path towards the camp gate. There, working prisoners were already waiting for the newcomers and greeted them with punches and kicks. They had to leave their luggage behind at a barrack. Following the roll-call-counting men and women were separated and shoved into different sections. In these dwellings the newcomers spent the first few nights on straw sacks upon the conclusion of the humiliating intake procedure. The roll call took place twice daily. Several hours, the prisoners were lined up in wind and rain on the assembly square. Who fell to the ground from exhaustion, was mistreated by the SS guards and forced to stand up. Even inside the accommodations did the prisoners experience the hardship and humiliation of everyday camp life. If they disregarded the smallest command of the guards, lashes rained down on them. "Leaving the barracks was forbidden. Conversations with each other banned" [ibid page 179, sic]. Behind the barracks water taps and latrines were located which could be visited only after notifying the staff. (This system applied to me as well as a POW, (and all others) when we were guarded by Polish concentration camp ex convicts recruited by the U.S. Army, you could not leave to relieve yourself unless permitted to do so, and it amused later on , WOJG Milton F. Plier, at Allach, when I always told them that I leave the store to go to the toilet, as it was not only drilled into you, but the original fear of being shot at was still upper in your mind, the Poles did, and shot two POW's in 1945 at Hohenbrunn near Munich, they have had good Masters). A little later, an SS man entered the barracks and told the prisoners to surrender their valuables which they carried. Since the SS assumed that the new arrivals had jewellery and money hidden in their body cavities, they ordered medical examinations. This was led mainly by camp doctor Krebsbach and SS medical orderly Wisner. Here, the women were forced to completely undress and go through a gauntlet of SS men who commented on this performance with snide remarks. In another case Wisner investigated Jewish women in a barrack where the women had to undress. Wisner then searched in a brutal and degrading manner in every orifice. Subsequently, the prisoners were led in small groups to register. After giving all the particulars to an office prisoner functionary which he noted. He entered the particulars on an index card and assigned the inmate number, which now had to be visible on their clothes. Following the prisoners in rows they were ordered to the so-called disinfection. In one of the rooms, they had to undress. "Then the door opened, and we were confronted by two German SS men with clubs in their hands. They cried.>"Raus! Raus! (Get out! Get out! "), with that the prisoners continued into the next room, where their heads were bald shaven by prisoners in blue fatigues. A former inmate described the scene: [...] "Horror. Silence. Nobody said a word. The men working there, were somehow ashamed, they were the only ones dressed between naked women, they, the prisoners, shaved the heads of women, the new convicts had their braids cut off, hairstyles vanished, the "crown of their beauty", their hair gone!" Bald shaven, the prisoners entered into the next room and were desperately looking for relatives and friends. A trooper distributed a bar of soap and asked the prisoners to stand under the shower heads that were set into the ceiling. When the water was turned on it was either ice cold or scalding hot. After the entire block was assembled in the yard and all were counted again, the prisoners learned of their fates. Either they were driven in a run into the particular prison section for women and men or they were loaded onto waiting trucks that transported them for work assignments in one of the satellite camps.